2011. RUSSIA. Vladimirskoe. 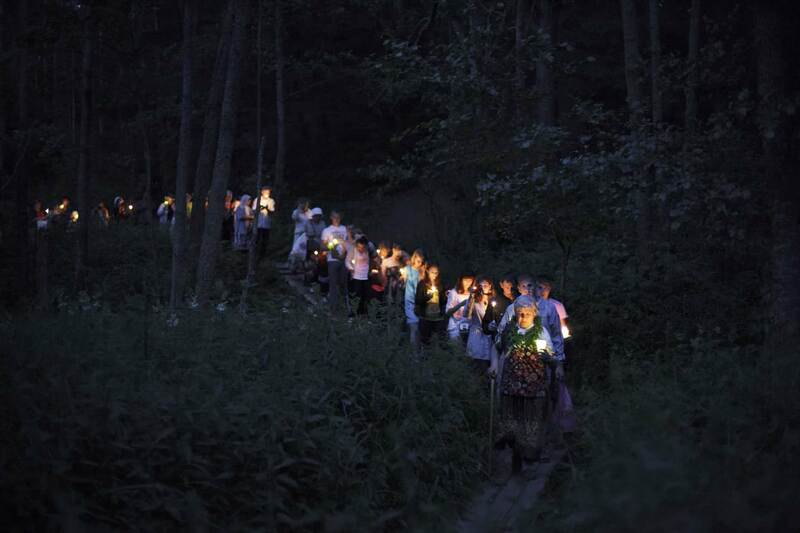 On the day of the slavic summer festival of Ivan Kupala, people don flower wreaths and walk around the Svetloyar lake with candles.